And the final batch of new gear! 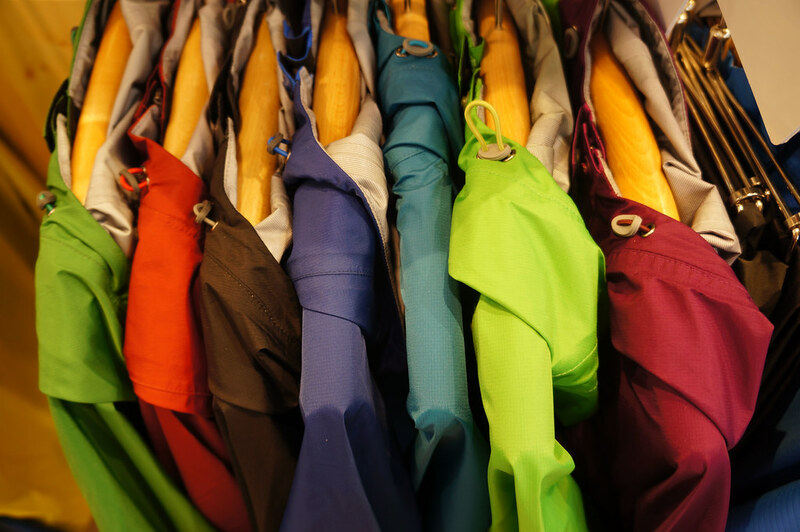 MontBell is a well known company when it comes to fast and light garments. 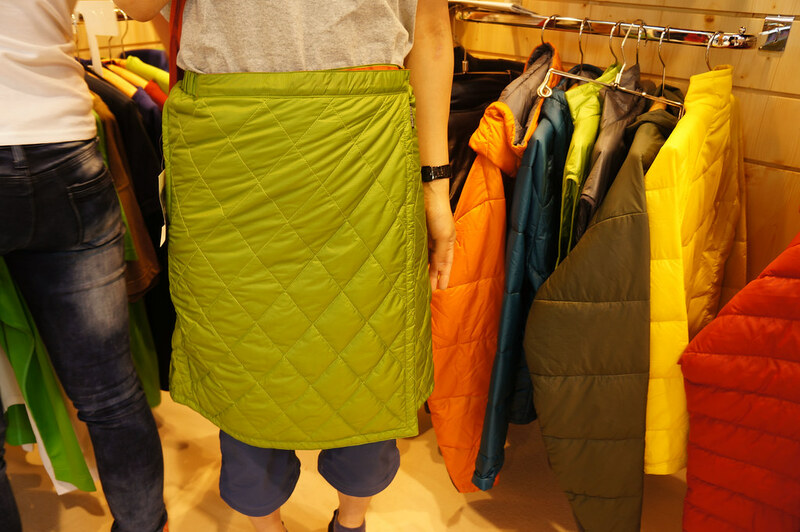 The Japanese company didn’t disappoint at the OutDoor this year, and presented several garments and small accessories which should be high on the list of ultralight alpinists and backpackers alike. Hard to not notice was the Plasma 1000 down jacket, which uses 1000 cuin down, a 7 Denier Ballistic Airlight Nylon and a unique sewing pattern to create a truly warm garment which tips the scales at 145 g. I’m sure this will be a very popular garment in the fast & light crowd - and it won a OutDoor Industry Award, too. 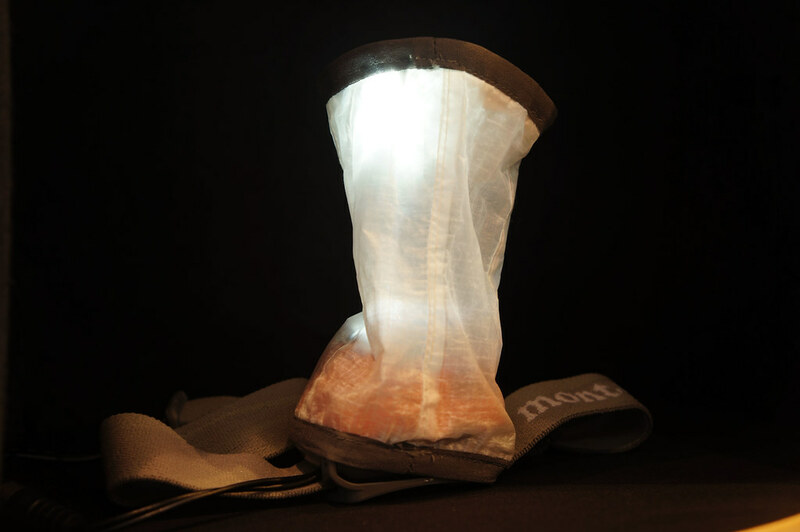 The Montbell Crushable Lamp Shade uses cuben to make a lightweight cover for you headlamp - giving you the option for ultralight ambient light for reading and chilling in your shelter on dark evening. Montbell coffee filter and chopsticks combine for the perfect drip coffee tool. The filter comes in two sizes, and the chopsticks can be screwed apart for a smaller pack size. The Thermawrap Skirt could be rather popular in Scotland. And other countries where men and women wear skirts. Looked superb and a useful item for colder evenings, where down/ synthetic pants would be too much. My first encounter with Montbell sleeping bags. Wow - truly superb sleeping bags, so much room to move, pack small, are light - there’s a lot to like about these, and if I wouldn’t be such a proponent of quilts I’d be highly tempted to try one (OK, ok, I’m also so very highly tempted to try one =). The Tachyon and Tachyon Anorak. 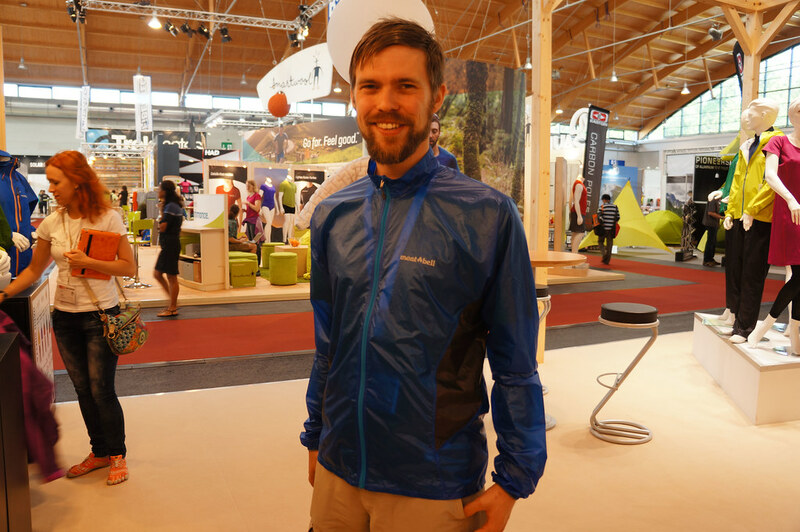 There were a lot of runner-ups for lightest windshirt at the fair, but the Tachyon won. 45 g for the hoody version, 65 g for the one with a full zipper. Awesomeness in a tiny, packed package. A UL Down T-Shirt. That’d go well with the Klättermusen Down shorts, for those days where you need a bit more warmth but want to go sleeveless. 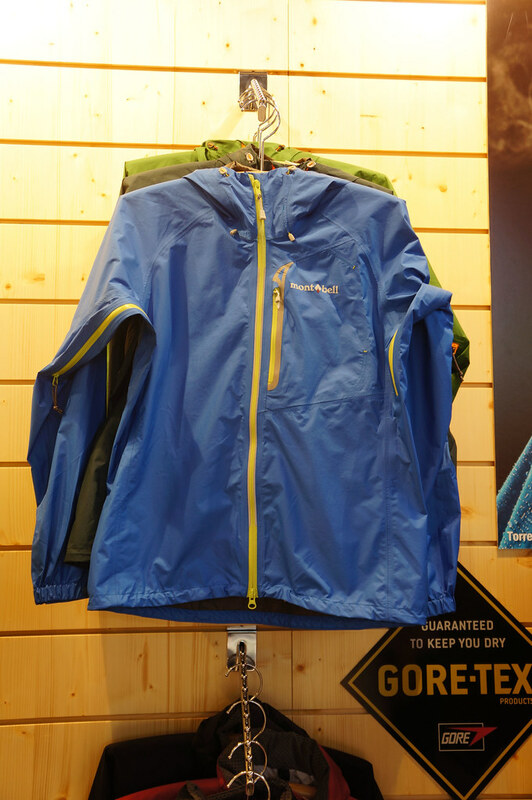 The Montbell Torrent Flier jacket, together with the other hardshells from the company, were really nice garments. The Torrent Flier uses 2.5 layer Paclite and weighs under 250 g, and it did feel really good on the skin. It comes with pit zips, one pocket and simple cuff and hem adjustability. 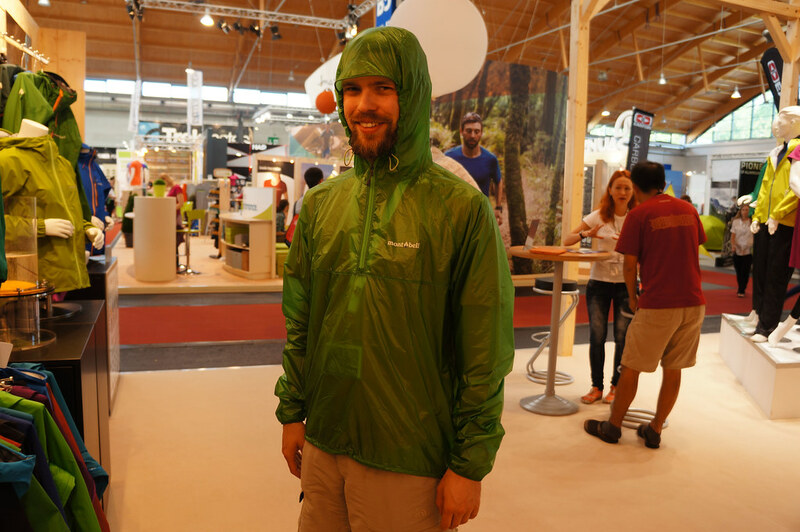 There were a few other hardshells which used Montbell’s own Drytec fabric, which cost under 100€ and thus should be great for occasional hikers and backpackers. Montane, the fast and light company from the UK, came out with some great gear which will have mountaineers, trailrunners and backpackers alike be frolicking through the outdoors. 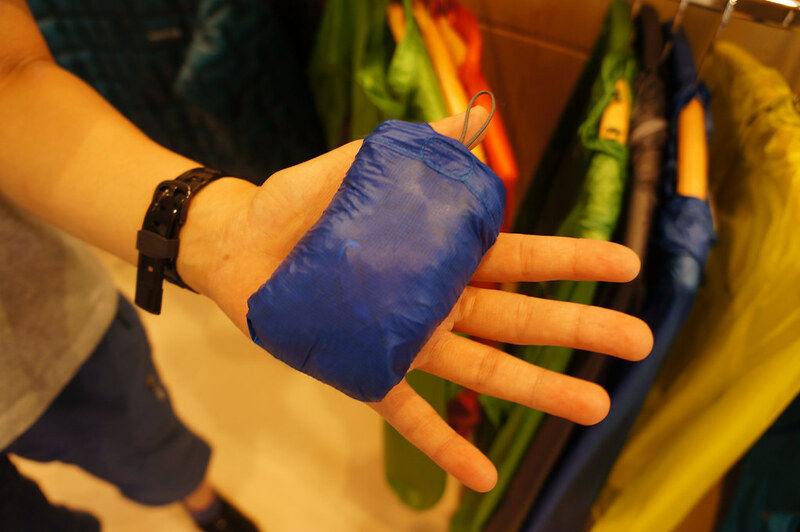 Part of the Spring/ Summer 2014 collection is the Minimus Sleeping Bag, which uses PERTEX Shield+ and is filled with 345 g of 800 cuin down and weighs 828 g completely. Oh, it won a OutDoor Industry Award, too! 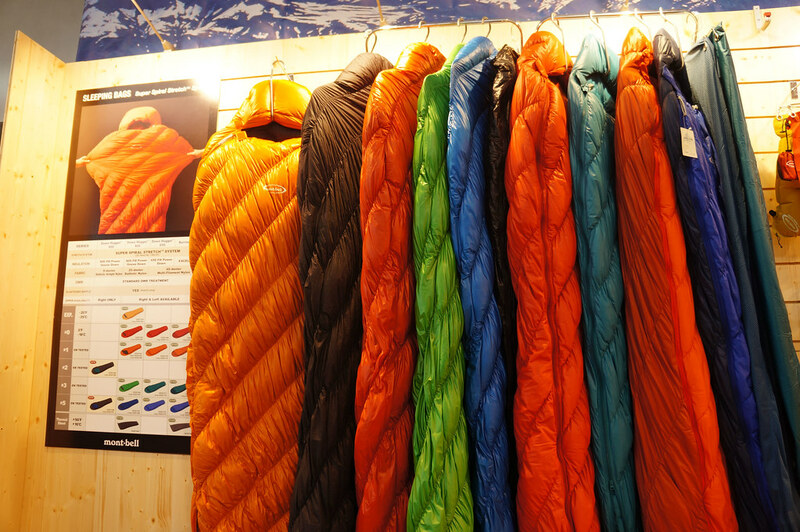 And then there’s a bunch of sweet new garments from Montane. 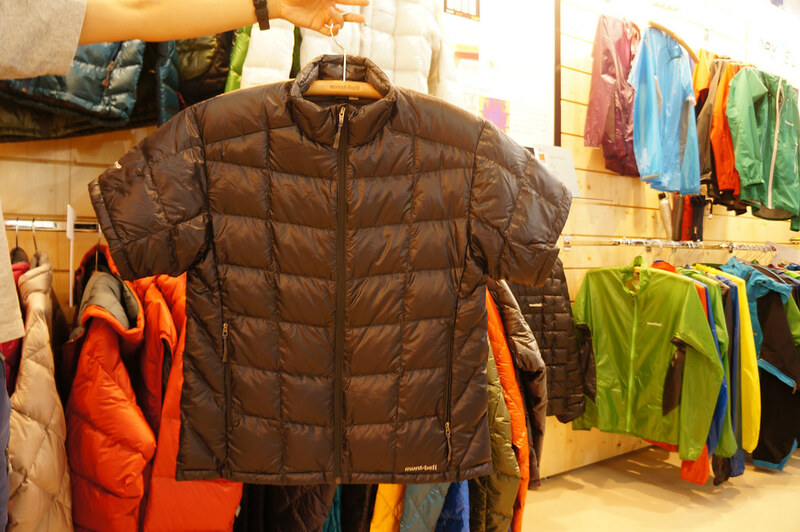 The Spektr Smock got a re-design, there’s new materials being used in many garments - like POLARTEC Alpha, which is used in the Alpha Guide Jacket. It encases the POLARTEC Alpha in layers of PERTEX Microlight Stretch fabric for wind resistance and stretch for climbing. 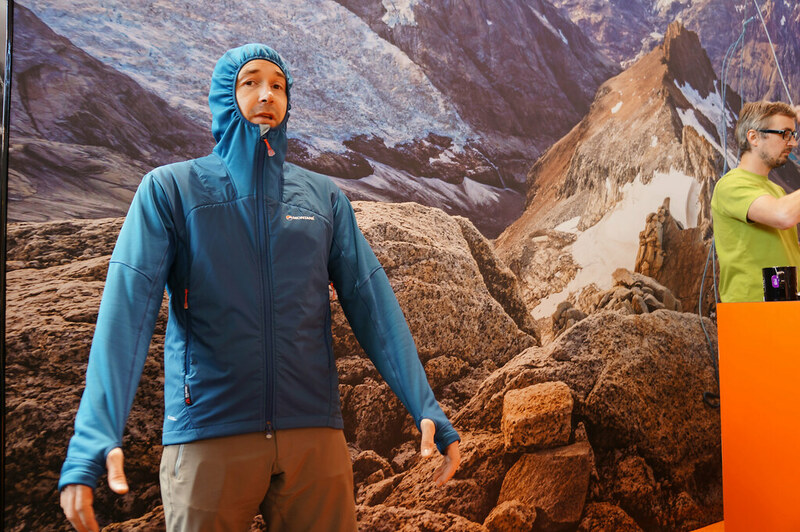 Thumbloops, an under-the-helmet hood and a two way zipper make it a great belay jacket on the mountain - and it got the POLARTEC Apex Award, too! (I’ll update the article on the other garments once I find my notes =). Klymit, maker of the Inertia X Frame launched the Motion pack series, which Matthew from Elemental Horizons helped them design. The Motion comes in a 35 and 60 l version, and will weigh 695 g or 1233 g respectively. It uses the Air Beam Frame Sheet technology for suspension, and the Air Beam Frame Sheet also helps to compress the load in your pack, making for a tight package. The system (thus the Air Beam Frame Sheet) lets you adjust the pressure, so if you want it soft - air goes out - if you want it hard, - air goes in. It also should be compliant during motion and conforms with the body, and yes, it should also be a pretty light suspension system. Then there will be a new pad, the Inertia O Zone pad which will be 346 g. It will be combining the comfort of the Static V with the weight savings from the Inertia series, and comes with an integrated 4-inch tall pillow. Finally, packrafters will like the Lite Water Dingy. 992 g and a 11.4 x 23 cm packed size, this can help you to get a 1,5 kg packraft kit for lakes and slow rivers, be it for crossings, fishing or just going with the flow. Here’s a photo of the LWD. 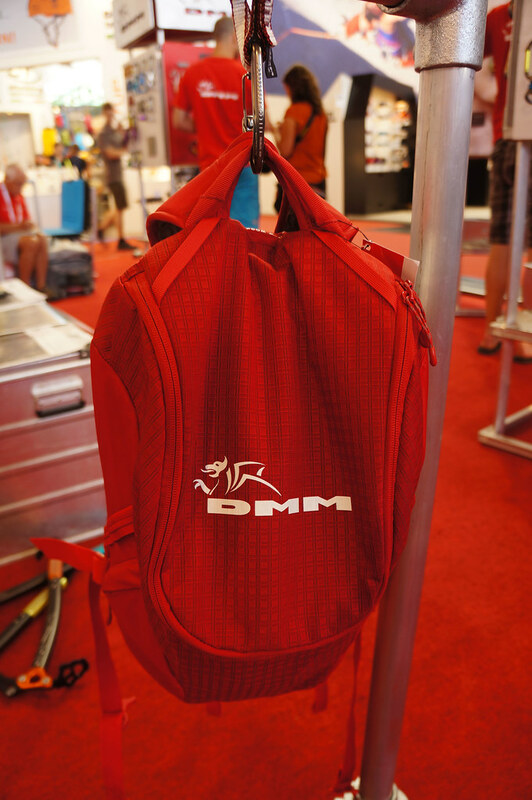 DMM is likely my favourite climbing hardwear company, and I was quite excited to meet them in Friedrichshafen. 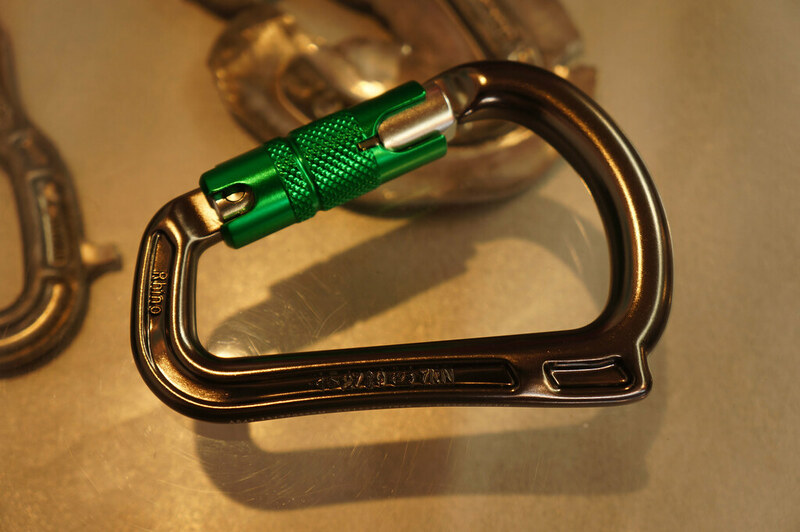 They come out with some swell new gear, like the Rhino Belay carabiner, the horn on it prevents locking assisted devices rotating off the top bar and on to the spine reducing the risk of cross loading. The Thor is a winter & trad biner and boasts an 11kN gate open rating, the biner itself is 36 g and should give you extra security and robustness if that’s what you are looking for. The QD will be 73 to 77 g depending on the length you choose. 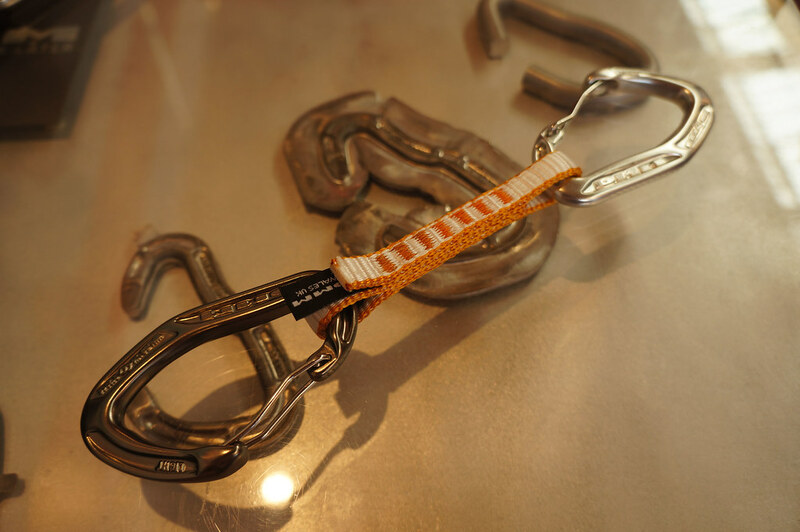 The Alpha Light is a 32 g trad biner which clips beautifully easy. A clean nose - like on almost all DMM ‘biners - reduces snagging and a wide gate opening makes clipping and unclipping easier. QDs weigh between 73 and 77 g depending on length, and they come in five different colours. 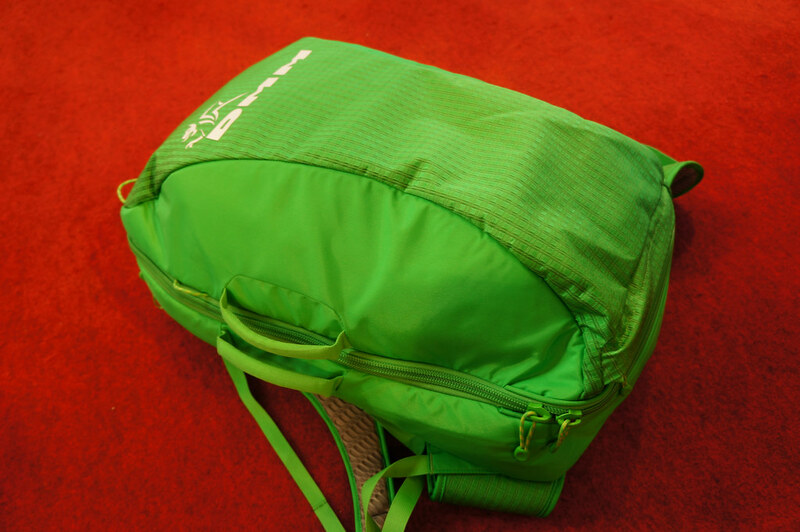 The DMM Zenith backpack is an 500 g, 18 l daypack for climbers. 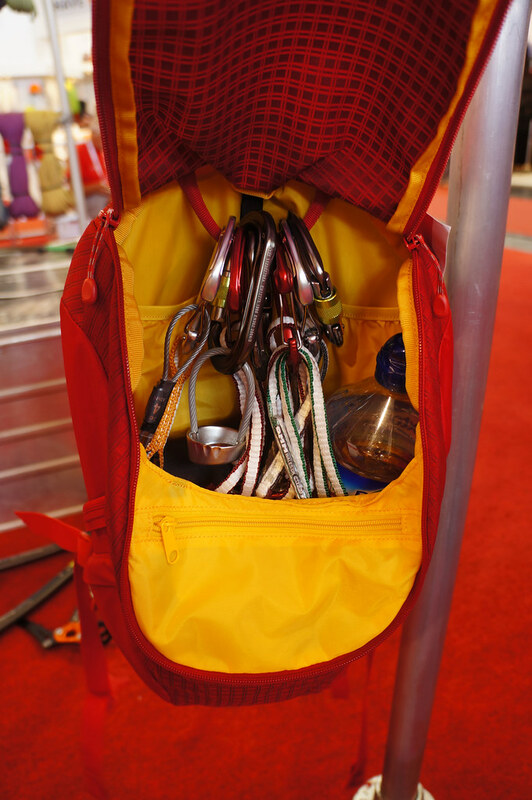 It’s harness compatible, holds food, water, a jacket and descent shoes while valuables go in the zip pocket. A fine pack is the DMM Flight. 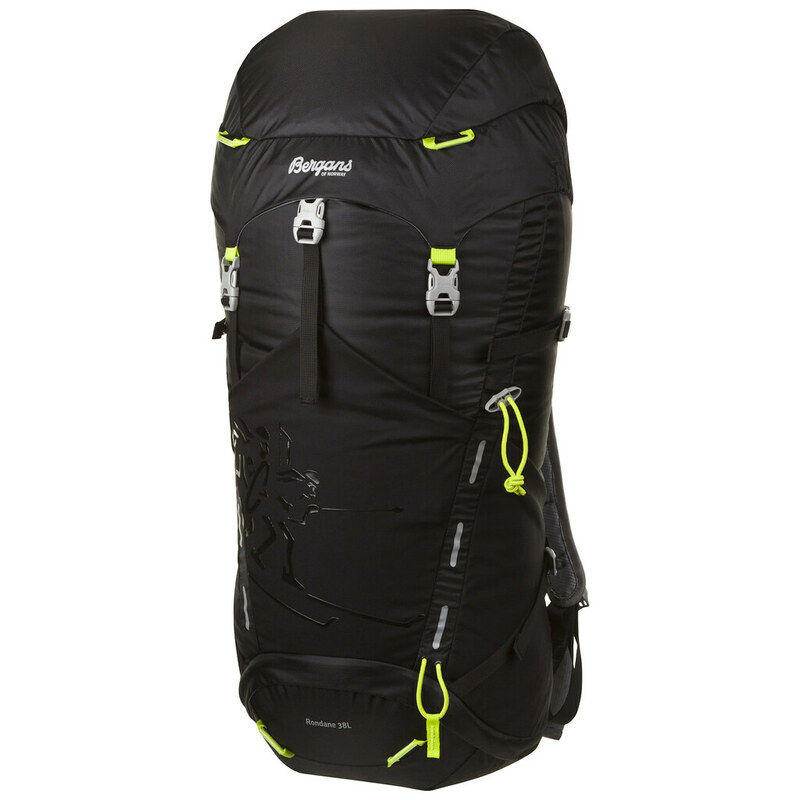 45 l volume, zips completely open and can be laid out, this sports climbing pack will hold an 80 m rope in its detachable tarp and all the other gear you might need for a long day at the crag. You even could use it as a carry-on if you want, as it complies with airline carry-on allowances measurements! 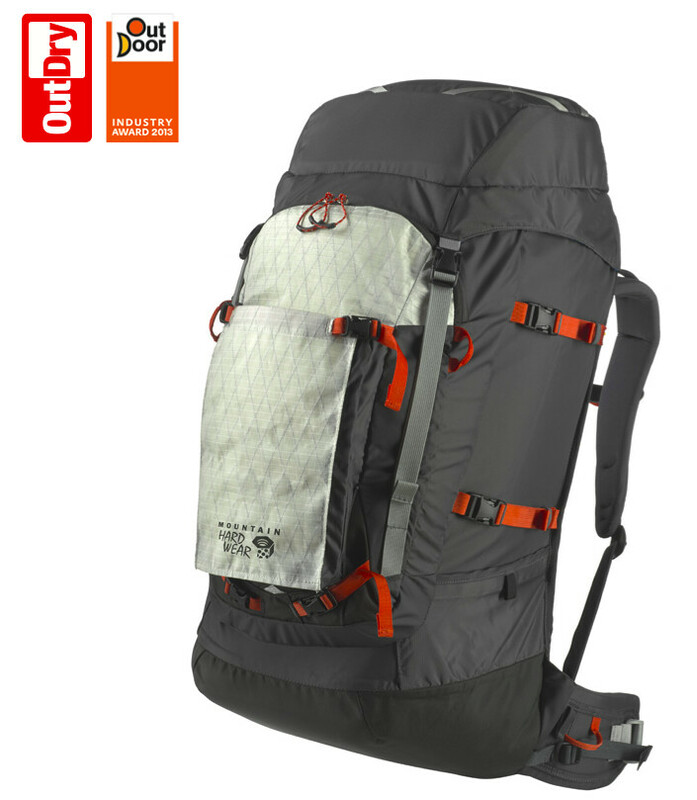 And a great pack which I’m tempted by is the DMM Vector trad pack. 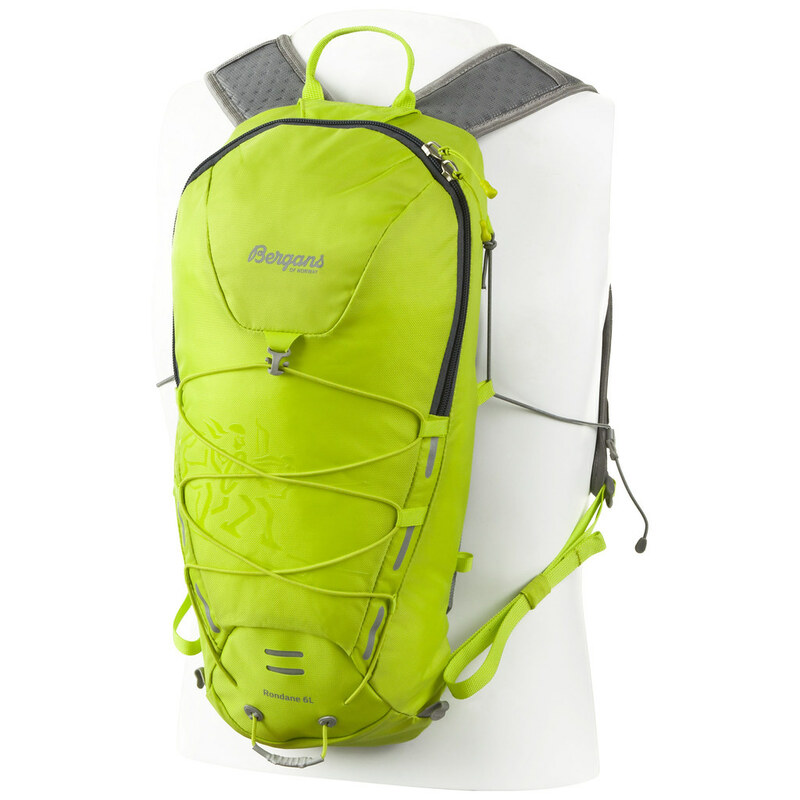 45 l, 990 g, this light and durable pack ticks all the boxes for me, even if I just recently bought the DMM Classic. 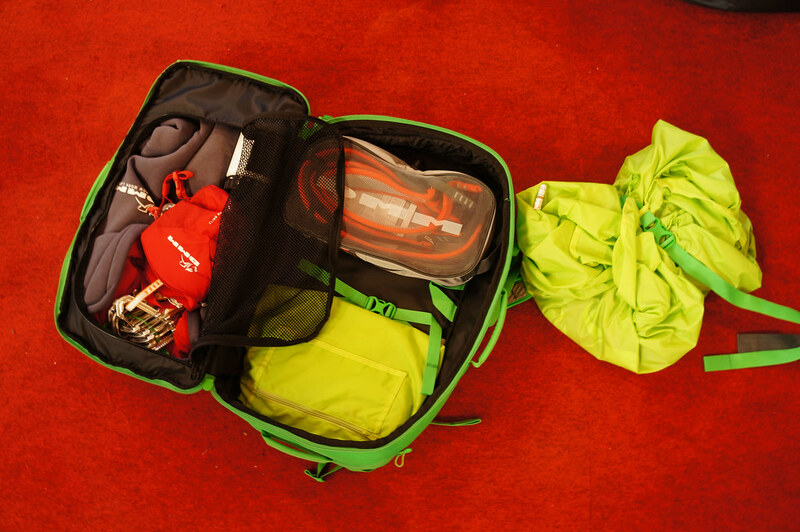 The Vector holds a pitcher rope bag in the bottom, a Rack-Sack which will hold all your climbing gear - Cams, Nuts, QDs, et al. - and keeps it dirt free whilst racking up. And then there’s still space for food, clothing, camera and water. It stands upright, you can haul it up a route and it carries nicely. 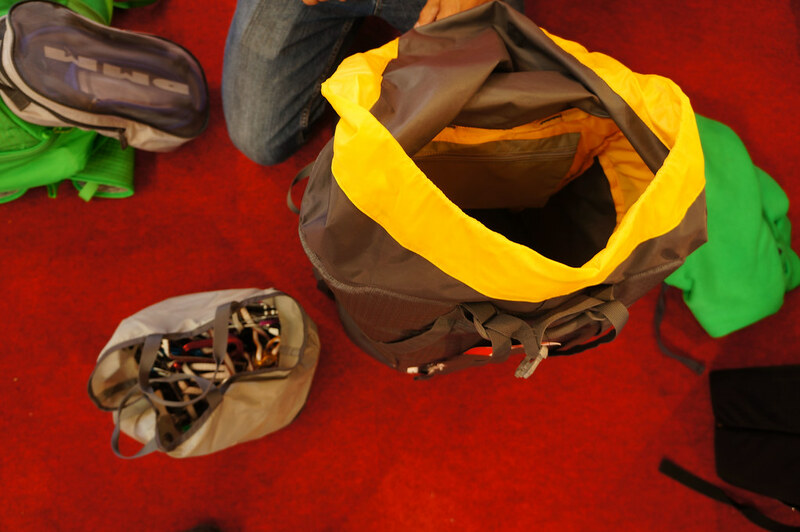 Finally, the DMM Void Duffle will get all that gear and more to the crag in Patagonia, Spain or Greece. Available in 45 l, 75 l and 100 l models in sweet colours, the duffles can be worn as a backpack. 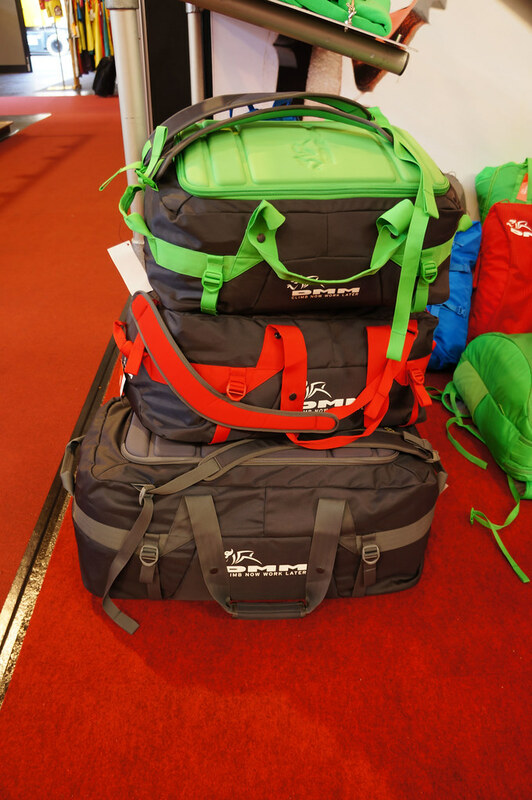 I’ve been a Mountain Hardwear fan for quite some time - besides the superb gear & garments from the Ueli Steck Project they also have an innovative mix of kit which is of interest for lightweight backpackers. There’s the Ghost Whisperer Hooded Down Jacket, for example. 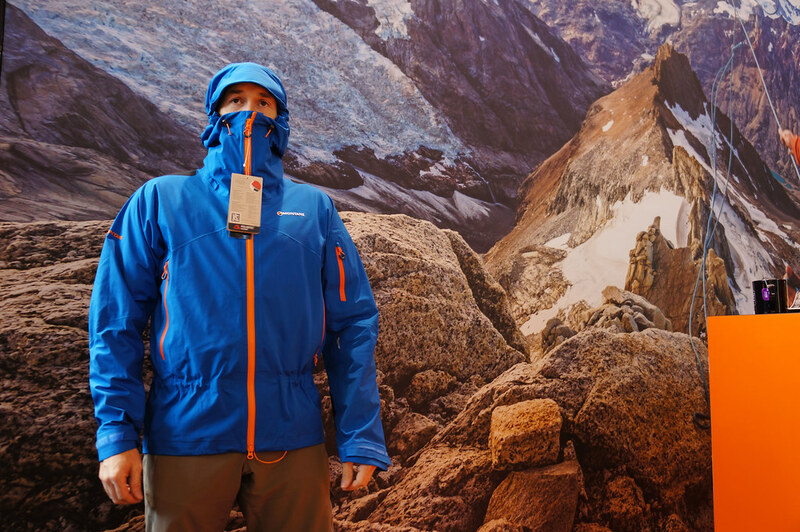 A 212 g down jacket what uses 850 cuin water-repellant down and a 7D fabric, two zippered pockets and it can be packed into its own pocket when not needed. Made from the same 7 denier by 10 denier fabric is the Ghost Whisperer Hooded Jacket, a windjacket which also will keep you dry in a summer rain shower. 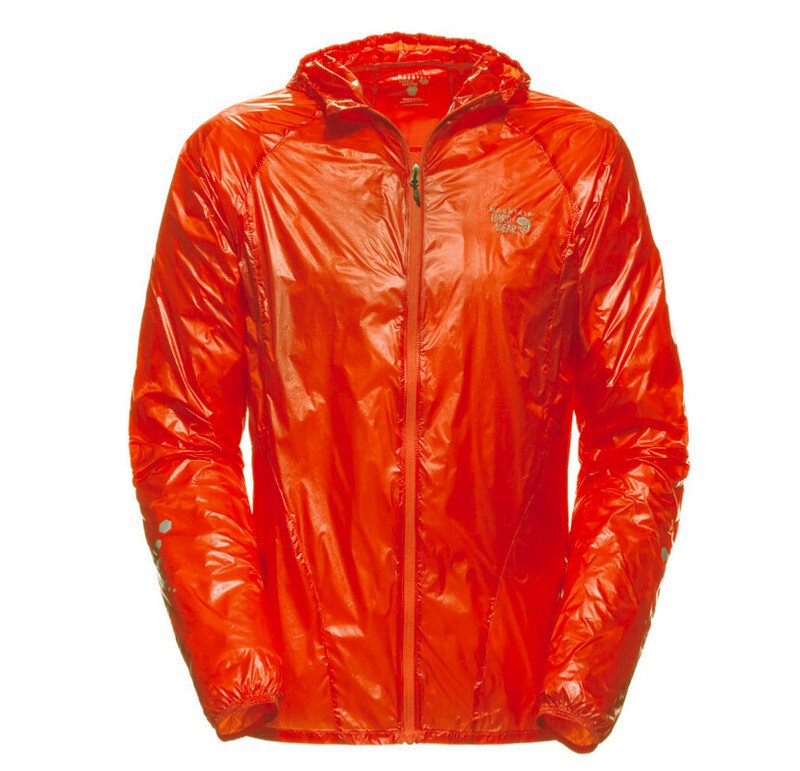 It has a full zipper and a hood, reflective details to make you visible on those dark November evenings when you hike out along a road, and will pack tiny. 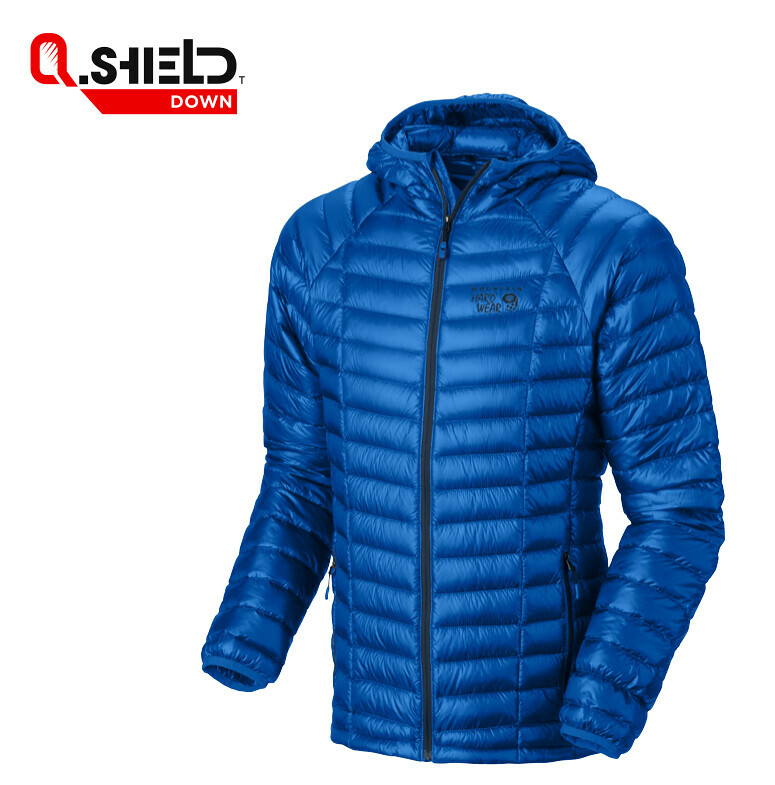 The Quasar Hybrid Pullover is part of the Ueli Steck Project and is a lightweight, waterproof-breathable and air permeable ice- and rock-climbing pullover shell. It boosts great articulation and stretch insets allow you to reach that good hold. 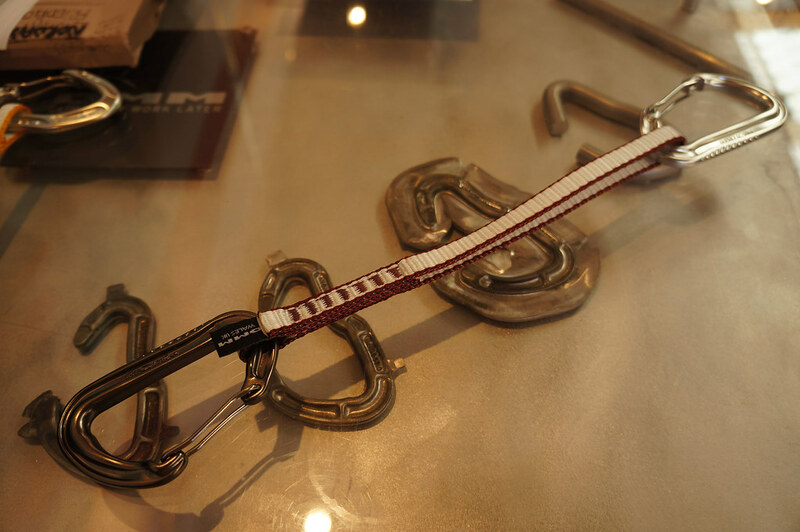 And if Ueli wears it it should be just fine for us average alpinists! And then there’s the South Col 70 OutDry, the first really waterproof backpack. 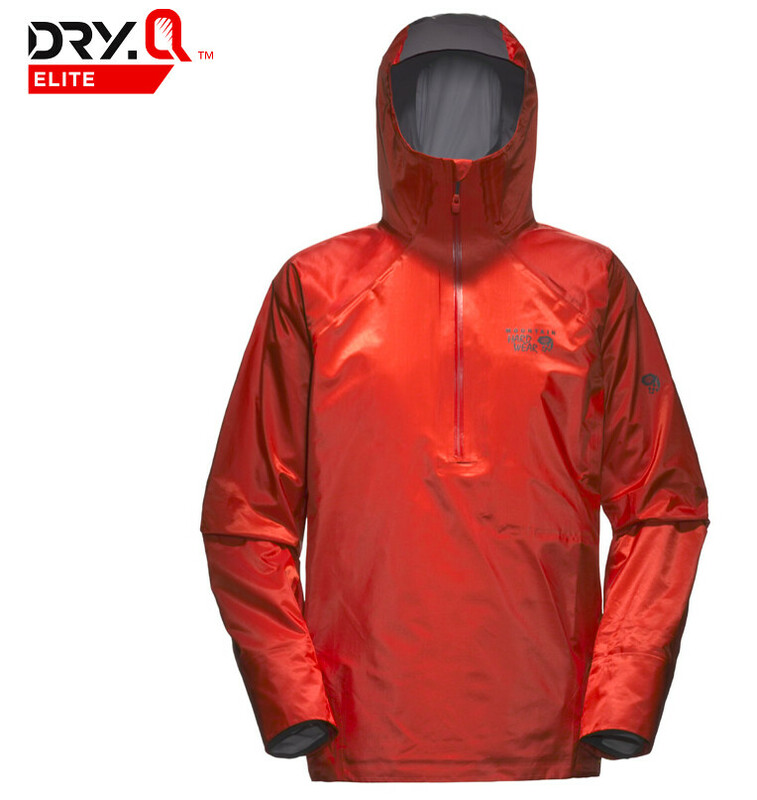 OutDry technology bonds a durable waterproof membrane directly to the shell fabric for a completely sealed interface so the pack stays light and dry without compromising weight or function. While made for mountaineering I can imagine that this pack could work rather well for packrafting and hiking in wet areas pretty well, too (Read more about OutDry in Update II). 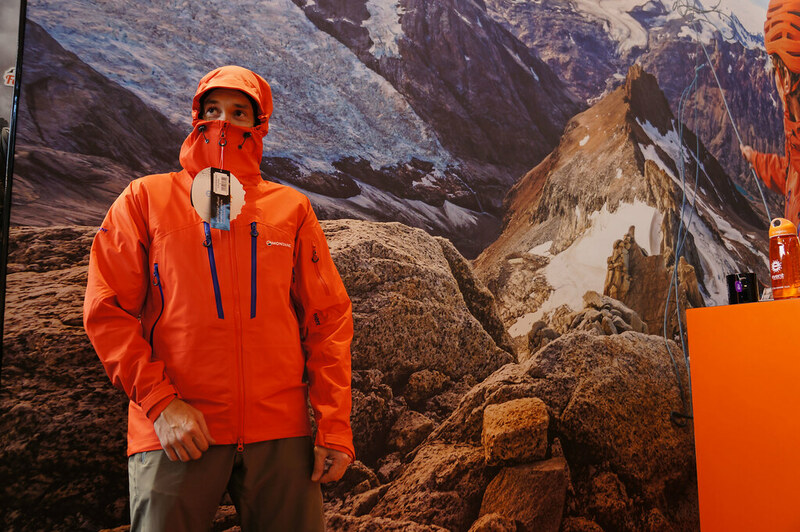 Bergans of Norway isn’t really well known for lightweight kit, but that’s about to change. Their Air jacket tips the scales at 80 g in Size L - that’s less than two Snickers! 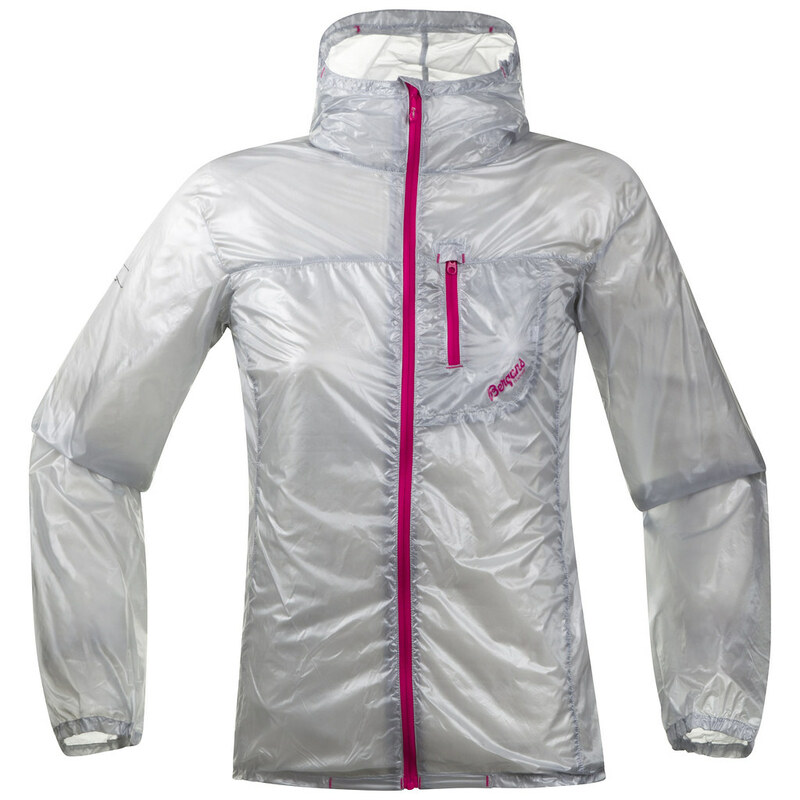 PERTEX Quantum is used to make this windjacket, which has a full zip, hood and a chest pocket. The DWR finish is PFOA-free, and yes - it will store in its own pocket while reflective details make others aware of you between dusk and dawn. 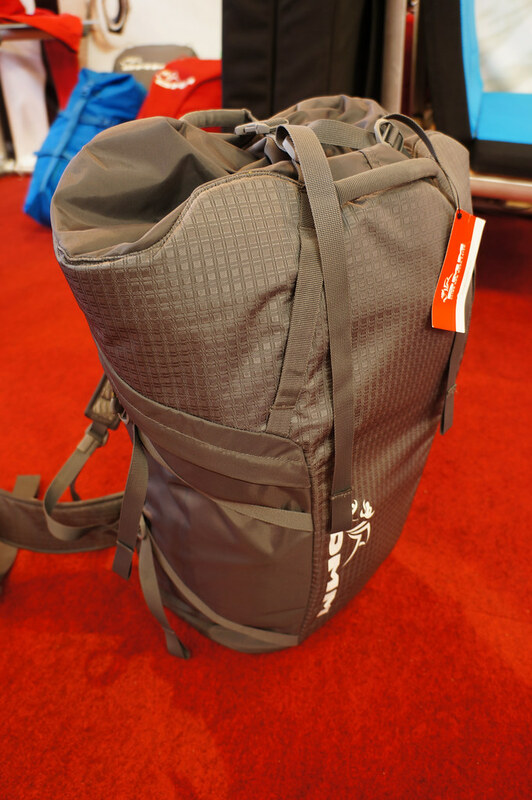 Then there’s the Rondane backpack series, where the 6 l and 12 l models are new for 2014. They use the Bergans Rock Steady Stability System (RS3TM) that should reduce the up-and-down motion when walking, and it felt very comfortable as I tried it on. It weighs 410 g for the small one, and 440 g for the 12 l one and comes in a host of nice colours. 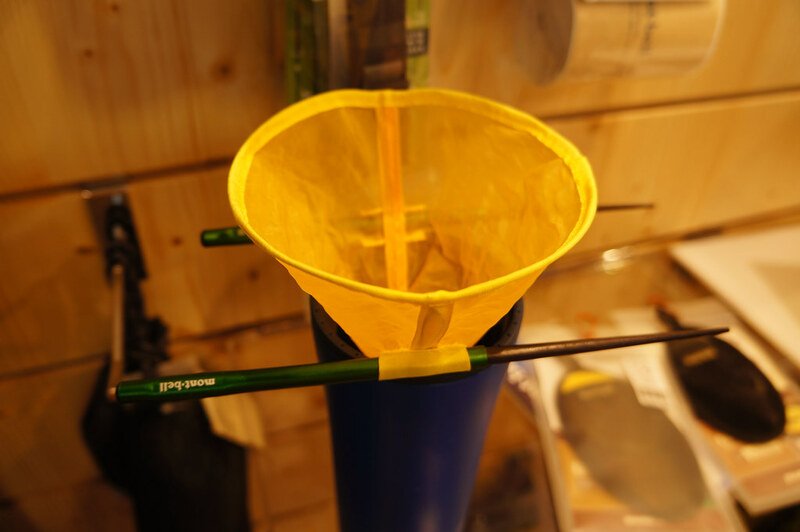 They should be of interest to trailrunners and mountain bikers, as they also can be equipped with a hydration system. 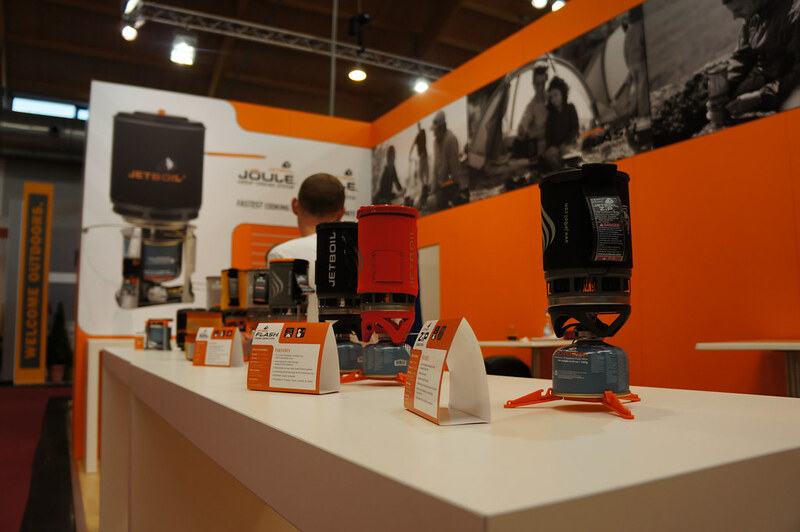 A new large stove from Jetboil! 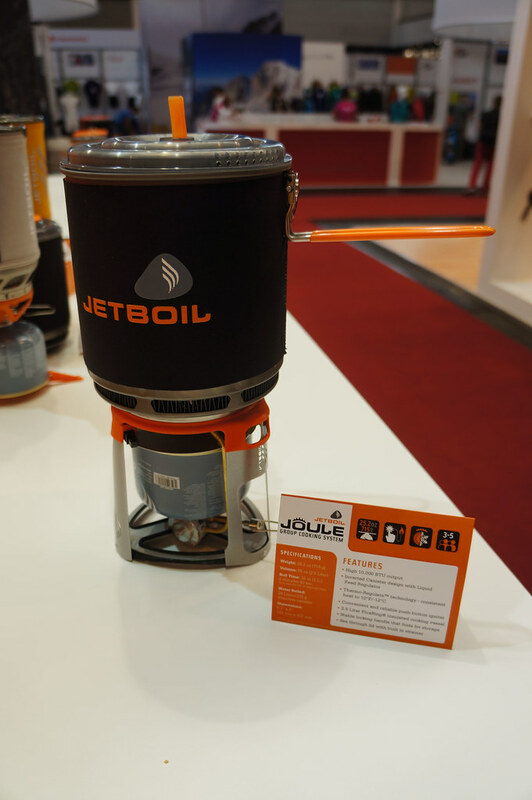 The Jetboil Joule tips the scales at 715 gram with the 2,5 l pot and has a claimed boil time of 2:40 min for 1 l of water. It’s an inverted gas canister design and should give consistent heat output till down to -12°C. The pot has a flux ring for added efficiency, there’s a handle which folds away and a see through lid with a built in strainer. 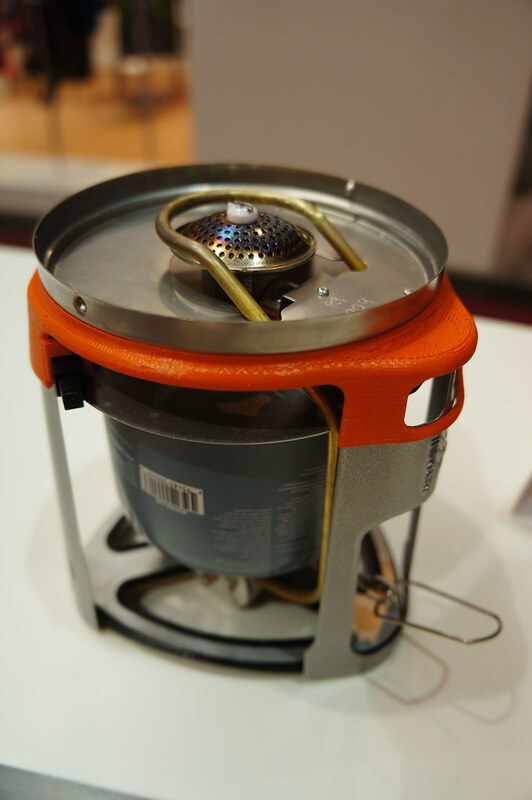 If this really works as claimed it could be a very great gas stove for winter and high alpine tours. 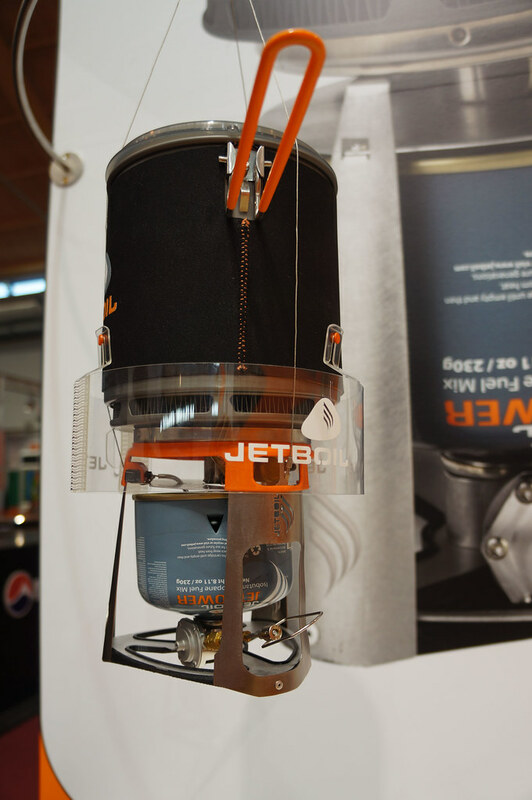 Speaking of alpine, the Jetboil Joule Alpinist add-on allows you to hang it up and has an additional windshield. The Ranger Child Carrier from Little Life looks like a strong contender for future outdoor families. 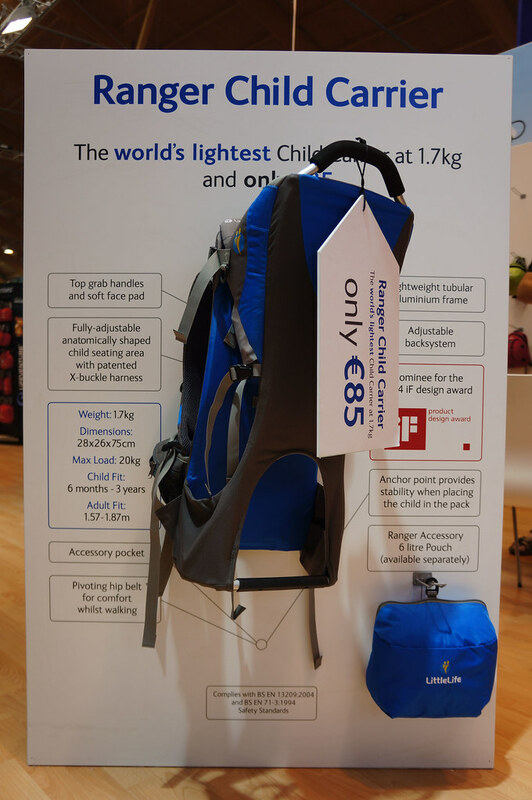 1,7 kg and a price tag of only 85€, this is not only the lightest child carrier on the market, but surely also the cheapest. Snow Peak had a few really nice items, some I can show you, others not yet. Those I can’t show include a headlamp in which the beam moves separately from the lamp, which allows for a light beam moving more in line with your head (up and down). An axe is also coming, which looked extremely well made. What I can show you are the colourful Ti spoons - which makes identifying your spoon on the next UL meet-up a bit easier. 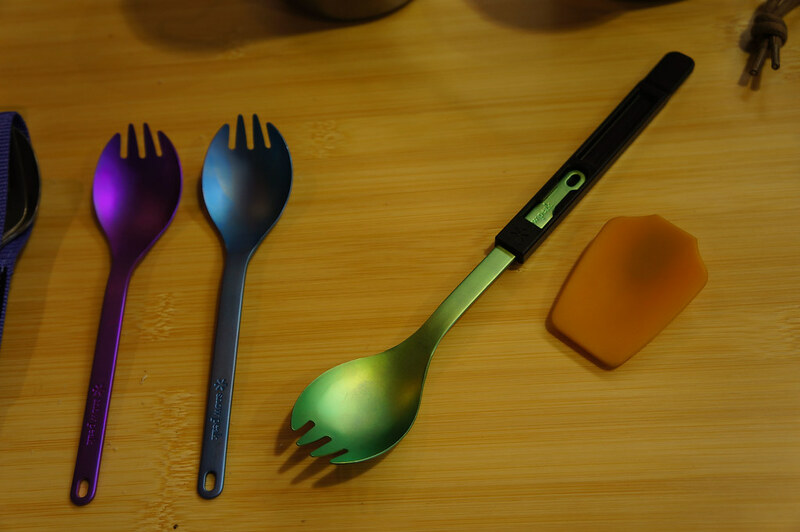 If you have your Ti pan with you then you will like the spatula - which can be snapped to your spoon, for an extra long handle so you can’t burn your fingers. 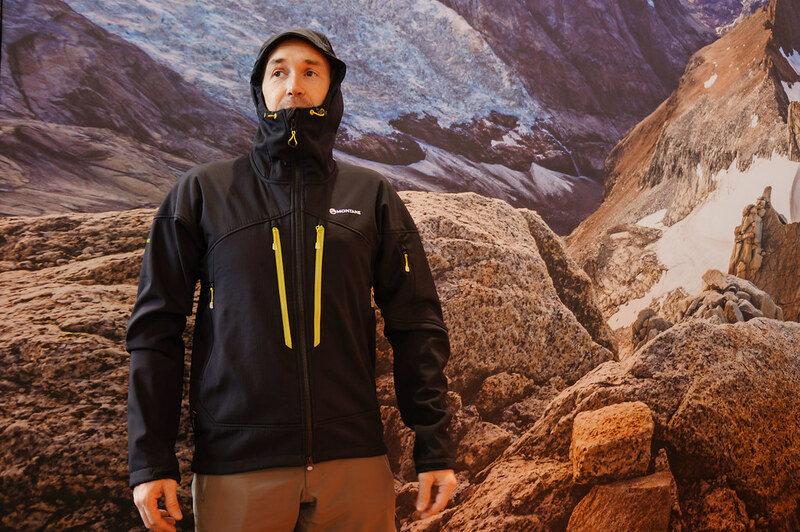 The Norwegians from Norrøna had a fine line at their booth, and the most interesting pieces for the active mountaineer and backpacker will be from the falketind line, like the PrimaLoft60 jacket, which weighs 280 g, has a full zip, packs small and uses PrimaLoft 60 to keep you warm. The falketind flex1 pants are a 200 g (!) softshell pants, which are very breathable and offer superb freedom of movement. Zippered pockets, mountaineering fit and a DWR finish will surely make this a good pants to wear in the mountains. 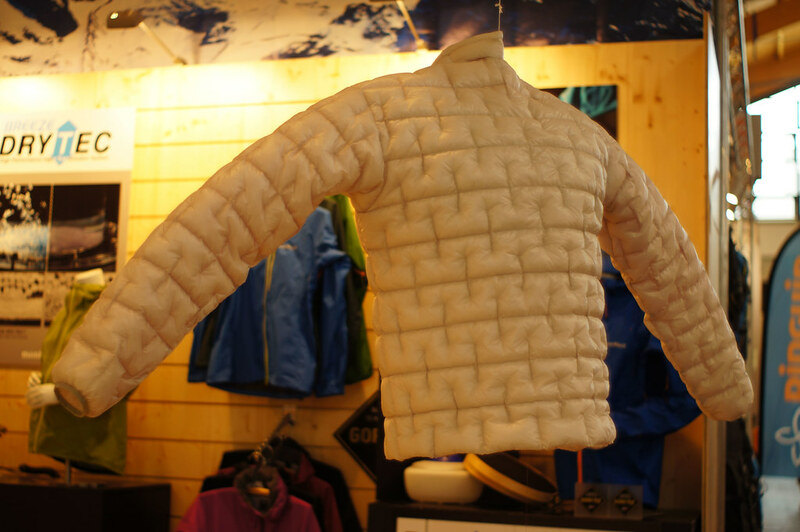 And then there’s the falketind warm1 Hoodie, which is made from a recycled Polartec fleece fabric. A kangaroo pocket lets you store stuff, wrist gaiters help keep your hands warm and the hood looks rather good, too. Stay tuned for my OutDoor 2013 conclusions article.